It's easy to fill up your computer's hard drive with things like photos and videos. It's even easier to reach your storage limit when you need to share zipped project folders or large CAD files with your teammates. 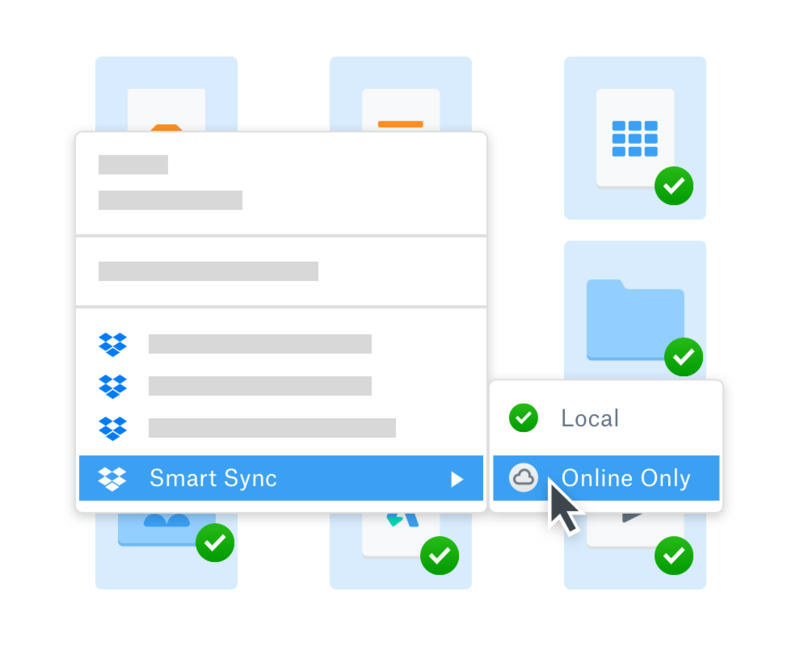 With Dropbox Smart Sync, you can easily free up hard drive space by moving files and folders off your computer while keeping them in the cloud. Best of all, you’ll still have access to your files without having to lug around an external hard drive. Dropbox helps you keep your files in sight, not out of mind. With Smart Sync, you can view all of your files—even your online-only files—in your file explorer, just like regular files. Sync files when you need them, or free up space by sending them to the cloud, with just a click. That means spending less time managing storage space, and more time doing work that matters.